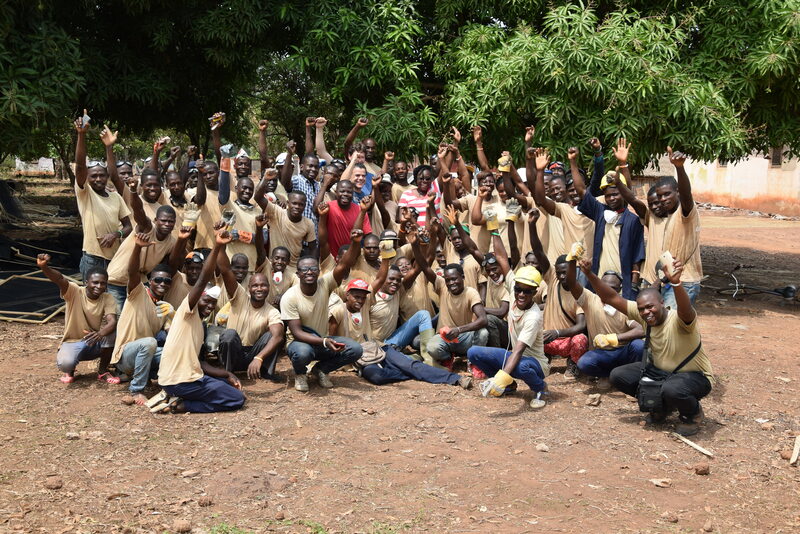 Together with local work teams who were trained on-the-job, In2Care has successfully installed >30,000 Eave Tubes in 3022 houses. 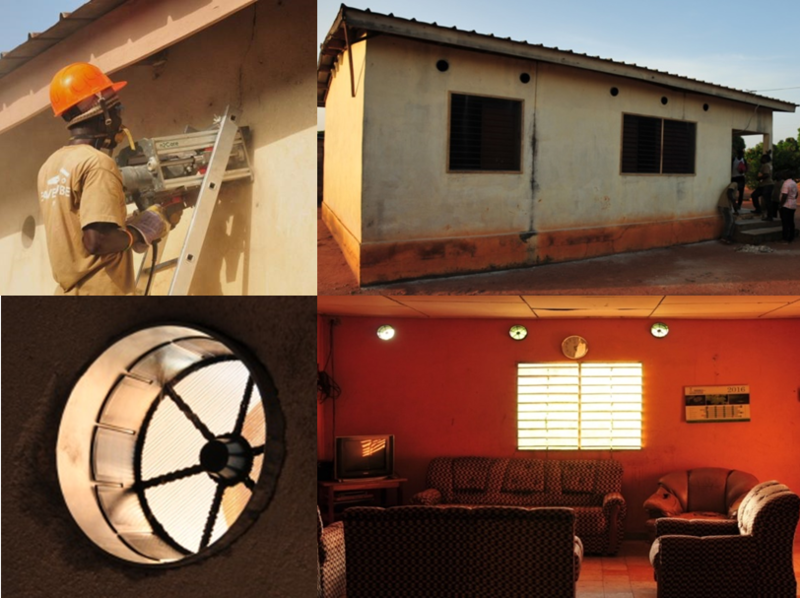 By using In2Care’s customized drill support tools and window frame technologies, Eave Tube installations and house modifications were done swiftly, cost-efficiently and with 0 accidents. See video on the right. 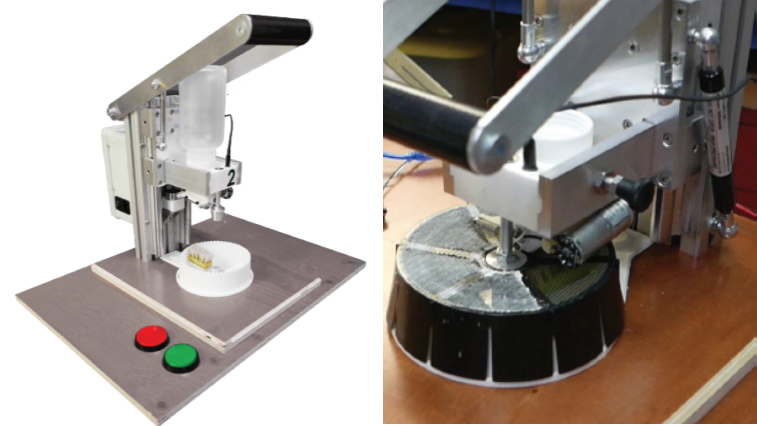 In2Care developed low-cost automated powder applicators for quality-controlled insecticide treatments of the Eave Tube netting inserts. These will be retreived, washed, re-treated and re-used every when insecticide activity wanes. Mosquito bioassay studies and insecticide quanitfication tests show that our special coated netting with beta-cyfluthrin powder remains effective for >4 months. To be able to re-use Eave Tube inserts, we developed high-throughput steam-cleaning machinery. As product developer and IP owner, In2Care is preparing mass-scale Eave Tube manufacturing processes and developing sustainable business models for Eave Tube commercialization. Within the BMGF-funded project we will assess different routes to market via Implementation pilots in several malaria-endemic regions. Epidemiological impacts of In2Care Eave Tubes are being evaluated in a large Phase 3 Randomized Control Trial in Ivory Coast. 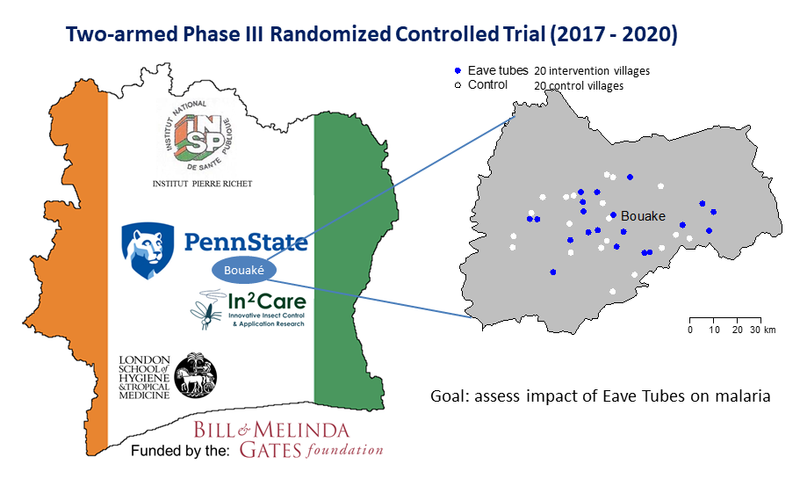 The Bill & Melinda Gates Foundation awarded a five-year $10.2 million grant led by Penn State University to “Transition of Eave Tubes from Concept to Implementation”. Based on a study protocol reviewed by WHO VCAG, 20 villages received the Eave Tube intervention and 20 control villages are included to enable measurements on malaria transmission impacts.